Those who have taken pre-workout products have surely experienced some kind of post-training manifestations that can be associated with ‘crash’. This is the reason all kinds of pre-workout supplements guarantee that their formulation is one that doesn’t result in a ‘crash’. This is also something that appeals to customers. The company Ergogenix also claims that its supplement ErgoBlast, aside from being a crash-free formulation, also provides muscle pumps during your training and mental alertness allows you to have a more productive workout regimen. The company is also a well-recognized business institution in the field. Its product, ErgoBlast, is developed to function alongside other muscle-growth products that the same manufacturer created. ErgoBlast’s primary ingredient is its stimulant blend consisting of Tyrosine, Caffeine, and other types of stimulants. Even though ErgoBlast’s company is saying that it doesn’t cause crash-related symptoms, the supplement itself contains 300 mg of caffeine alone. That’s a lot considering you will consume caffeine from other food and drink sources. Caffeine is the main cause of ‘crashing’ in the first place. When you experience crash, it means that the energizing effects of caffeine fade and your mood sours. When your body has developed of getting used to having caffeine and its effects, it takes a while for the body to adapt to its non-caffeine condition. Workouts are great, but it doesn’t mean that we are motivated to go to the gym and exercise. Sometimes, it takes a lot of mental and physical efforts to even go in the first place. For this reason, there are many pre-workout supplements in the market to help you get the energy boost and mental clarity you need in order to get started. One of these supplements is ErgoBlast. It promises to give you a surge of energy and concentration that’ll help you get the motivation you need to start your fitness routine. 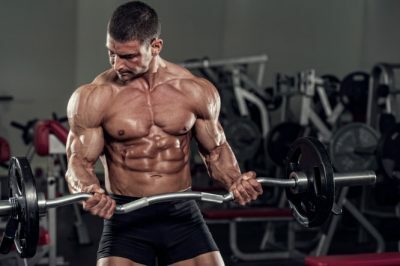 This supplement is also used by those endurance athletes and bodybuilders. The efficacy of ErgoBlast can be gauged through these factors: ingredients, cost, and customer feedbacks. With this, we evaluated ErgoBlast’s formulation and we were informed that its primary ErgoStim Proprietary blend is headlined by its inclusion of caffeine anhydrous. As mentioned, ErgoBlast has about 300 mg of caffeine. This is the same quantity included in a Starbucks Venti brewed coffee. Also discussed earlier is that its crash-free guarantee is opposed by its high amount of caffeine. The said quantity would cause your body to become reliant on caffeine for energy and alertness. Once these effects disappear, the crash occurs, which of course, would be unpleasant for you. Moreover, ErgoBlast has 1000mg of Creatine, which came from Con-Cret. This is a product manufactured by the company Promera Sports. This is expected to aid in the restoration of the energy that was used up while training. On the other hand, it is not advised to take ErgoBlast as part of creatine loading stage. What you can do is add the 1000mg creatine into your every day creatine consumption. This should go around 5 grams daily. ErgoBlast also uses multiple B-vitamins to improve the switching of food to energy. 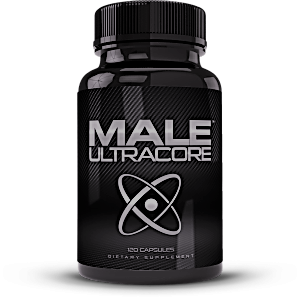 It’s quite remarkable that ErgoBlast has a great quantity of zinc, which is considered to enhance the generation of testosterone. There’s also the addition of sodium citrate to enhance one’s stamina and strength. Besides caffeine, ErgoBlast’s ErgoStim mix includes numerous other stimulants. This includes L-Dopa, Tyhronesine, and Theobromine, to name a few. These stimulants result to not only increased energy, but also improving your frame of mind while training. One serving of this supplement costs $1 if you go for the 30-serving package. If you purchase the 10-pack package, one piece of ErgoBlast would cost around $1.63. The cost of ErgoBlast is not expensive and not also cheap. It’s just within the average price range for most pre-workout supplements. Finally, we researched more about ErgoBlast’s effects by reading customer reviews and we learned that its high content of stimulants can result to crashes. Many customers shared how they experienced crash-related symptoms a day after taking it. Overall, ErgoBlast is a decent pre-workout product that can help users get boosted energy levels and greater mood for motivation. The only issue here is that the company behind ErgoBlast promises their supplement to be crash-free, but the caffeine content in the supplement is pretty much high. Still, if you want to have the edge in your physical training, ErgoBlast is ideal to be stacked with nitric oxide enhancers and even testosterone-boosting supplements due to its inclusion of zinc.